I hate to admit it, but there are times when I try to make every single aspect of Lefty’s game perfect and tend to focus on the negative instead of celebrating the positives. There aren’t too many ten-year olds who play the game with the intensity as Lefty does. He gives 100% on every pitch and every play. 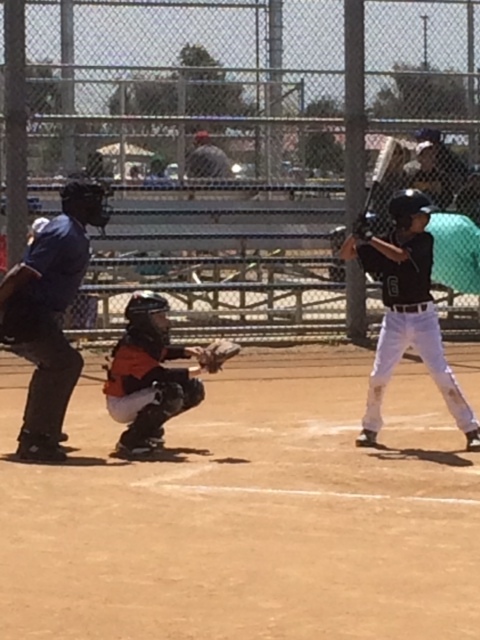 He plays his heart out in a game as a catcher, then pitcher, then first base, then outfield. Never complaining, always trying his best and ALWAYS encouraging his teammates. So what happens when he goes 0 – 3 at bat. I tend to focus on his hitting and forget about the contributions he made on defense along with his positive, play hard attitude. Luckily, this article came across my screen right when I needed it. Teacher, coach and author Bruce E. Brown described in his article Support your child athlete to create great experiences and memories how athletics are a very valuable part of the educational process. And how parents can be an important component of making participation in sports a worthwhile experience for their child. However, they also have the power to take away from the value. As I was reading the article, one thing Mr. Brown pointed out was like he was pointing a finger directly to me. Don’t try to make everything perfect. Another point Mr. Brown stated that I constantly have to remind myself of is to avoid the natural tendency to critique the game (guilty!). Don’t make your player hate the car ride home. As I stated before, when older players were asked what they disliked most about playing youth sports, a common answer was the way parents critiqued their performance on the car ride home. Break that habit by making the only ritual for the car ride home = SLURPEE TIME. In summary, Bruce E. Brown states in every athletic competition there are only four roles: players, coaches, spectators and officials. Before you get to the game, it is better for the athlete if everyone just chooses one of those roles. Trying to get the team to perform well is the responsibility of the coaches and the players. It is the job of the official to make the judgment calls. Parents can contribute by being encouragers and confidence-builders. Thanks for giving me a good reality check Bruce Brown!